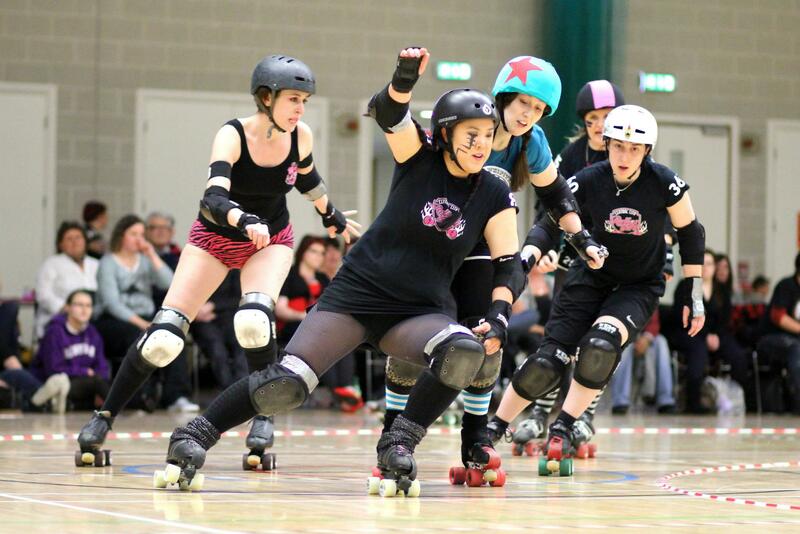 Making history on Saturday 21st April was the CCR Raging Belles – it was the first open bout for the third travel team from the CCR family. As the hall started to fill up with friends, family and derby fans there was uncertainty in the air as not too much was known about either team, but after 60 minutes of derby, that all changed. As the score tells you the game was in CCR’s hands for the majority of the game, tight walls, clever call offs and tactical play was in abundance from the girls as the team remained focused ready for more. What the score doesn’t tell you is that Wirral never game up, fighting on with smiles on their faces and determination in their minds. The first half closed with a 122 -14 score line and both teams must have had a sterling half time talk. 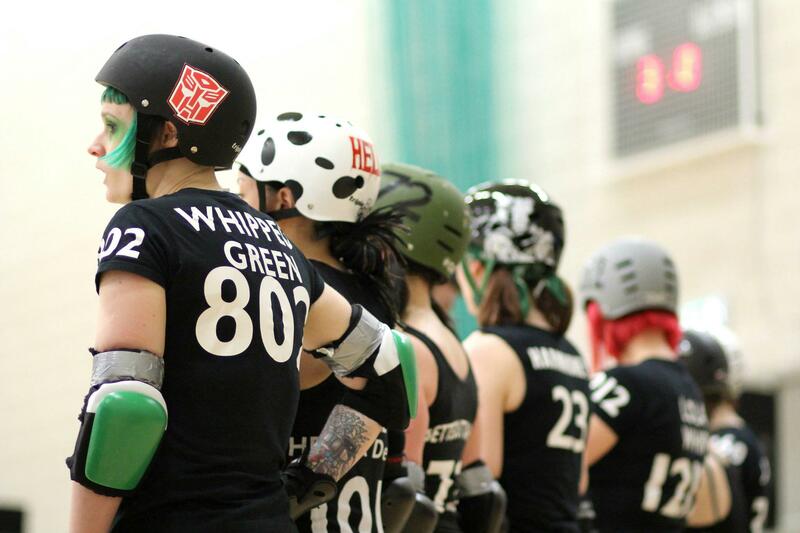 The second period opened with Wirral stealing their share of Lead Jammer statuses, but couldn’t stop the CCR Ragers hitting and surpassing the 200 mark showing again that clever tactical play and tight pack work is the key to any derby game. Both teams played their hearts out and a great day of derby was had in Birmingham once more. After a few shandys Wirral boarded their coach back up north leaving CCR a promise to come back and even up the score. ROSTER: 25 Faze’Her (Captain); 434 Dr Inknockulator (Co-Captain); 23 Harm Honey; 28 Betty Bloodshed; 61 Erin Block’hervich; 72 Bette Outta Hell; 80 Ska Siren; 101 Cruel Heller DeVil; 360 XBlox; 429 Thumpalina; 802 Whipped Green; 808 PRe-EMMtive Strike; 1212 Lola Whip; 2820 Bon Snott; Bench Manager – Rollin Rat; Line Up Manager – Boots Manuva. Words by Verry Cherry. Photos courtesy of Scott Jones.